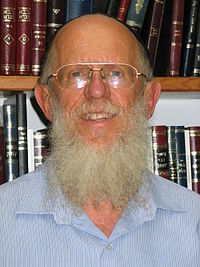 Rabbi Ya'acov Medan*: "While I believe with all my heart in the need to have the laws of the state conform to the Torah, it appears to me that there are three additional factors that must be taken into account….Factor one: The heightened alienation in secular society towards any hint of the Torah;Factor two: The more time that elapses, the greater the gap between the written law, which reflects the status quo of the 1950s, and today’s reality;Factor three: Most important of all: The rift in Israeli society stems from the continual friction over matters of religion and state, which risks generating a schism from which there can be no return…A national consensus issuing from goodwill and a maximal readiness for concessions on both sides is likely to emerge only if each party is convinced that the other is also compromising to the best of its ability." * Rabbi Ya’acov Medan teaches at the Har Etzion Yeshiva and the Ya’acov Herzog College in Alon Shevut. In 1999/2000 he was a member of the board of the Conversion School set up by the Neeman Commission. In December 2005 he will become co-dean of the Har Etzion Yeshiva. Prof. Ruth Gavison**: "From my standpoint, the purpose of my personal prologue is to explain how a liberal Zionist secular Israeli Jew, committed to democracy and human rights, believes that the covenant initiative is not merely consistent with these commitments, but is actually dictated by them. Why in my view it is preferable to try to fashion such a compact with other groups in Israeli civil society, instead of contenting ourselves with the formulation of a Jewish-secular-liberal credo and striving to promote it in its own right, whether by means of a “civil revolution” or in some other way….Through the social compact initiative I wish to substantiate my liberty to maintain my lifestyle, because this is my chosen lifestyle. Simultaneously, however, I wish to defend that very multiplicity of lifestyles, and also the similar liberty of groups with different lifestyles. The success of the social compact project will relieve us all from the struggle for liberty and against coercion, freeing us to develop features of the “good life,” in accordance with our respective understanding of what that entails." ** Prof. Ruth Gavison holds the Haim Cohn Chair of Human Rights in the Law Faculty of the Hebrew University of Jerusalem. 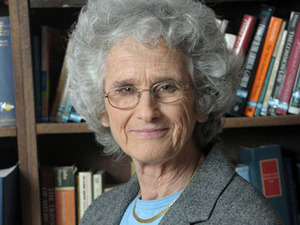 Prof. Gavison was one of the founders of the Association for Civil Rights in Israel and served as its president in 1996–1999.